The United States Centers for Disease Control and Prevention estimates that over 40 million Americans report they have been told by their doctors they have rheumatic condition such as arthritis. 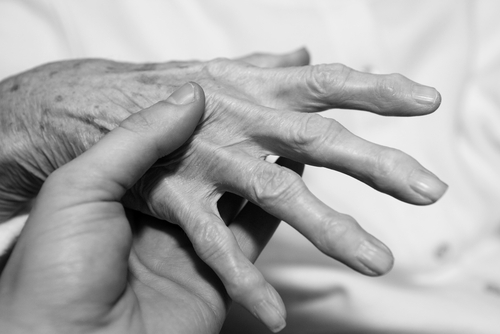 Arthritis is the leading cause of disability in the country, limiting the activities of about 19 million people. A recent study provides new insight about one of the causes of inflammatory arthritis: bacteria. Researchers from the Netherlands and the United States show that NOD2, a specific gene, triggers or worsens arthritis when muramyl dipeptide (MDP) or leftover bacterial remnants are present. This breakthrough provides a significant first step toward finding treatments to lessen or prevent the symptoms of arthritis. According to Michael Davey, Associate Chief of Staff for Research at the Portland Oregon Veteran’s Affairs Medical Center, "Despite recent advances in the treatment of arthritis, none target its cause." He adds, "Our work with MDP and NOD2 is a step toward understanding the root cause of arthritis which one day may allow certain forms of arthritis to be prevented altogether." In their study, Davey and other researchers used two groups of mice. The first group was normal while the second one had been genetically engineered to deactivate ("knock out") their NOD2 gene. Then the scientists administered MDP to the joints of mice in each group. They found that, unlike the normal group, the genetically modified mice did not exhibit any sign of arthritis. This may be a significant advancement in the treatment and understanding of Blau Syndrome, an unusual genetic disease typified by arthritis caused by bacteria (granulomatous arthritis), inflammation in the middle layer of the eye (uveitis), a disorder that affects nerves that control the senses (cranial neuropathy), and skin rash. John Wherry, Deputy Editor of the Journal of Leukocyte Biology, said, "Now that we know that bacterial products can activate this NOD2 pathway and that this signal contributes to arthritis…the next step is to find treatments that either rid the body of this inflammatory signal or mask it. Either way, the net effect would be the same: people would be spared from a very crippling disease."